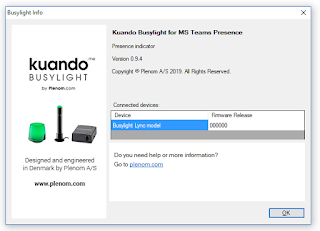 Just change the presence in the Microsoft Teams PC client manually, or let it do so automatically, and the Kuando Busylight, after a little pause, while show the correct presence! 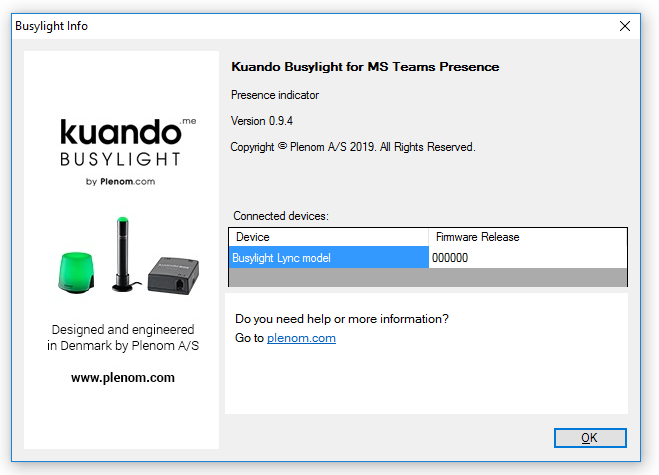 For the Kuando BusyLight to work, you must install the Microsoft Teams specific software, so if you have Skype for Business working with Kuando, this will mean installing the Teams specific software. Also the Microsoft Teams client must be running as the dll's interface with the Teams PC client, not using Microsoft Graph directly. If you exit Teams, the presence will stop functioning. Another thing I noticed is that unlike the Skype for Business integration, the presence change is not immediate. 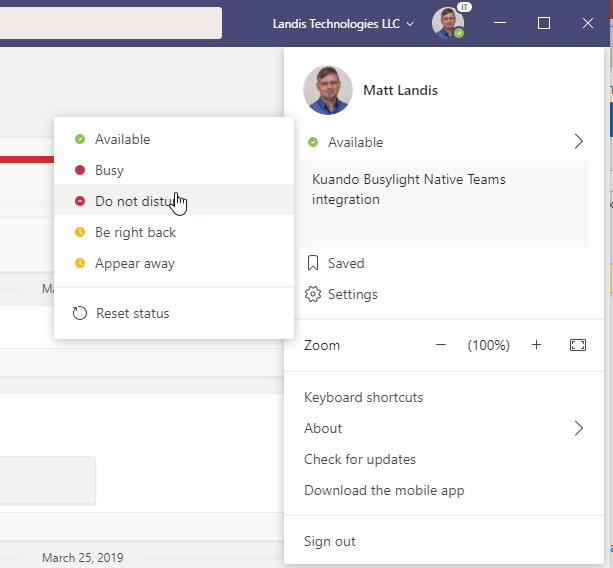 This is exactly as presence works in Microsoft Outlook, so I would expect this to be a limitation of the interface to Teams, not the Kuando app. In my experience it takes about 3 seconds to change. (not big issue for normal presence, more of an issue in calling scenarios) So when you change your presence in the Teams client it takes about 1 second until the change displays in Teams client and 3 seconds till it shows up in Outlook & Busylight. 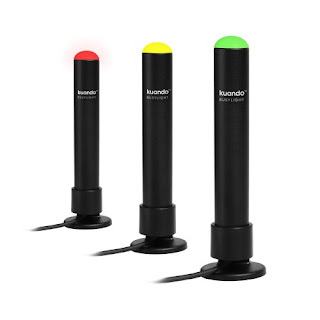 And another nice touch is that it works with your existing Kuando lights. I had one on hand and it worked just fine. A few vendors are now providing busylights: Kuando, Embrava and most recently Poly has announced intentions to do so. It appears at the time of writing other major vendors, such as Embrava, do not seem to have this functionality yet.